For the better part of the past three years, this yacht has been shrouded in secrecy. 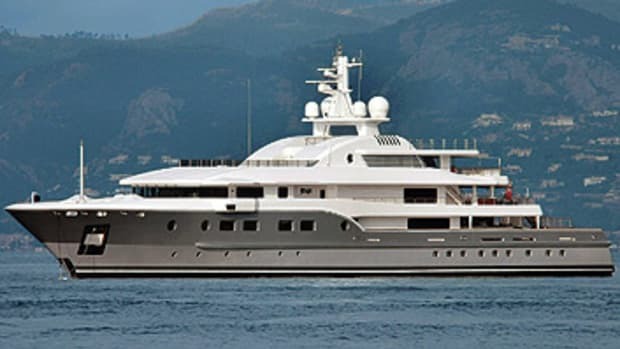 In fact, if you’re an avid yacht-watcher, this is probably the first time you’re seeing her real name, as she’s been known as Project Lana at the owner’s request since the contract was signed. While most of her features are a mystery, there are a few things we can tell you. 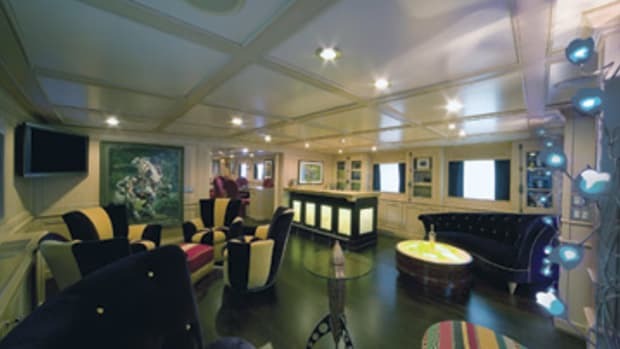 For one, she has five decks, with a glass staircase rising through her interior, leading to a gym and plunge pools on her top deck. She also has a sophisticated forward-looking sonar that displays obstacles such as shoals and even whales at up to 1,000 feet in front of her in 3-D.